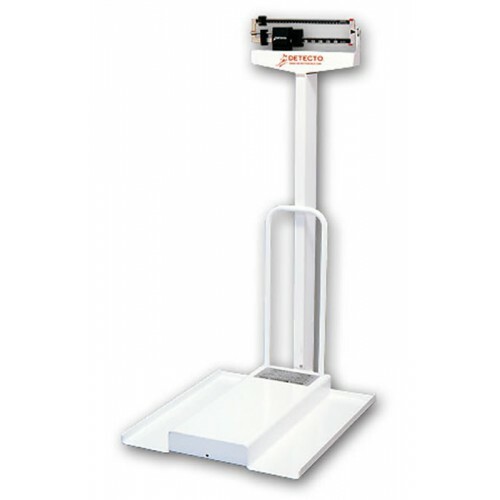 Stationary Mechanical Wheelchair Scale, manufactured by Detecto in the United States, is a heavy-duty and durable stationary mechanical scale with ramp specifically designed for use with any standard-size wheelchairs. This scale's ramp is detachable, which transforms the scale into a stand-on mechanical beam scale. 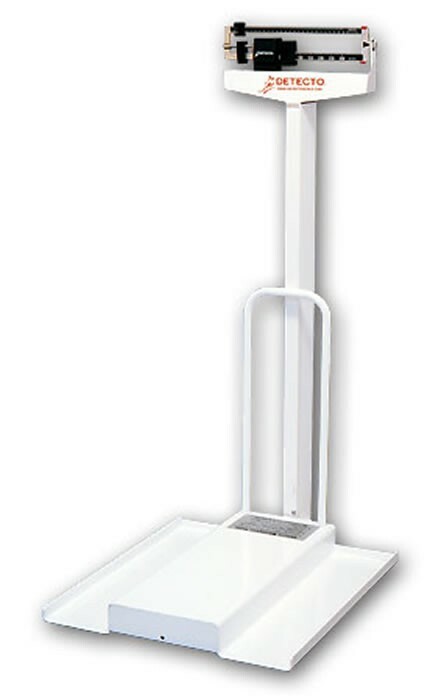 Featuring a die-cast, easy-to-read beam, this scale facilitates a faster weighing operation. In addition, the beam is easily read from either side. Depending upon your needs, the Stationary Mechanical Wheelchair Scale is available in either English or Metric units. Truly, Detecto goes above and beyond expectations by creating this affordable, yet incredibly durable and adaptable scale. Capacity: 350 lb / 160 kg.